Home » The Market Report: What exactly is inflation? Why is gold a good hedge against rising costs? The Market Report: What exactly is inflation? Why is gold a good hedge against rising costs? Inflation is in the news almost every day, but there’s still plenty of confusion on the topic. In this week’s Market Report, we ask in the simplest of terms: “What IS inflation?” What does it mean for us? What is the REAL rate of inflation? And why are gold, silver and other precious metals such a great way to protect from the continuing rising costs of goods and services? Vince Miller and Phillip Patrick give you the answers here. 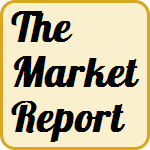 Mark Alyn: This the Market Report with Vince Miller from the Birch Gold Group. Joining us also on our program, Phillip Patrick, also from the Birch Gold Group. Hi, I’m Mark Alyn. Gentlemen, welcome back to the Market Report. Mark Alyn: Gentlemen, let’s talk about inflation. We hear about it, it’s in the news just about every single day. We’ve actually talked about it on several of our last episodes so let’s get a definition. Vince, simply put, what is inflation? Vince Miller: Well Mark, simply put inflation is just the rising cost of goods, products and services. Mark Alyn: So if I today have a dollar to spend on a package of gum. In a month that package of gum costs me $1.10, inflation has caused the price of the gum to go up. Vince Miller: Well you just made inflation a lot worse than it actually is, but yes exactly that is the point. Mark Alyn: Well I’ve been reading about it and government figures vary from some economists, we’ll be talking with Phillip about that a little bit later on. Let’s look at some history about inflation. In 1950 you have some really interesting statistics about the housing costs, about what the average American made and how much a car cost. 1950, not all that long ago. Vince Miller: Well I was just having a conversation with my grandmother as a matter of fact, who is in her nineties. But we were speaking about how things used to cost compared to today, and how expensive things are. And she just got her first cell phone at 90. Vince Miller:: And she’s amazed at the technology. But it made me want to kind of dig a little bit deeper and I went back to 1950, the cost of living from 1950 until today in America. The average family income was $3300. The average car cost in that time was about $1500. The medium house price was $7354. That’s what actually brought the conversation up because she just sold her house and when they purchased their house they paid $8000 for her house. And it just sold for a few hundred thousand. Vince Miller: Today, comparatively Mark, the average family income is $51000. The average car cost is $31000 and the medium house price in America right now is about $188,000 give or take. Mark Alyn: And it also depends on where, in Southern California it’s probably more. In parts of South Dakota it’s probably less. Vince Miller: Absolutely, you pay to live where the ground moves out here. Vince Miller: To bring it more back into reality, I mean most of our listeners, some of our listeners remember 1950, a lot of them don’t. I speak with the new generation it seems like, but even to kind of reel it in and go back 10 years. Because most of us can remember 10 years ago. In 2004 the average gallon of gas was a $1.61. Today it’s just under $5 a gallon. A loaf of bread for example, in 2004 was about $0.79, wheat bread was about $0.89. Today it’s just under $2. I thought this was an interesting statistic, Mark, I think that you may find this one interesting. Is that in 2002 a Big Mac was $2.39, in 2013 the average price of a Big Mac in America, or the price of a Big Mac was $4.19. It was about a 75% increase in ten years. Mark Alyn: And probably the patties are smaller. I would just bank on that. Vince Miller: You know I had one the other day, and I never eat this stuff. It was probably the first Big Mac I’ve had in ten years and the thing I realised is that the patty was half the size of the bun. It’s got me thinking, where is the beef? Mark Alyn: And that’s a good point. We’re going to come back to where’s the beef? It’s a good point. Phillip, what’s your take on inflation? Phillip Patrick: What I find interesting is really a lot of the stuff Vince was referring to. We’re seeing inflation in food products, energy products, yet when you look at official government figures since the 1980s they’ve actually removed food and energy from official inflation calculations. So a lot of the things that we spend our money on on a daily basis are not factored into inflation rates that you see. Mark Alyn: Food is going up, skyrocketing right now. Mark Alyn: Gasoline prices are skyrocketing as Vince said, just around $5 a little bit less in Southern California. It’s amazing that the government does not include that. So what are the government stats? What does the government say the rate of inflation is right now? Phillip Patrick: Official figures right now are at about 2%, yet global food prices, for example, are just spiralling out of control. This year alone, sugar is up 7.9%, cereal up 5.2%. Some food items have skyrocketed up over 70% this year so far. Mark Alyn: I was at the market the other day, I saw prime meat at $30 a pound. It’s amazing. It’s astronomical and it blows my mind that the government doesn’t include that in the official percentage of inflation increase. Phillip Patrick: You’re absolutely correct. I have to say it’s not really in their interests to publish higher inflation figures. If they do, that means a raising of social security payments, government employee salaries. It costs them money. Mark Alyn: You have some statistics from independent economists that indicate inflation is actually higher than that 1%? Phillip Patrick: Absolutely, there’s an economist called John Williams. He runs a website called Shadow Government Statistics. Which puts real inflation figures for most of us in the current climate closer to 9% than the official figures of 2%. Vince Miller: And you know, Mark. What the government does, most people will ask, “Well how do they come up with these statistics? Where are the figures coming from?” There’s something called the Consumer Price Index. Basically it’s the CPI, in short. The CPI basically it takes into consideration 80,000 consumer products, basically, a basket of goods. What it does is it plugs in data from formulas along with other factors from the census information on consumer spending patterns. In other words the CPI, unfortunately though, doesn’t measure changes in consumer prices. Rather it only measures the cost of living. Unfortunately for the statistics, when they tried to calculate it the government makes the assumption that consumer spending habits change as economic conditions change, including rising prices. Literally, so if prices rise and consumers substitute products, the CPI formula really could be bias. And the report doesn’t necessarily hold true, it’s a bad indicator of true inflation, and the true inflation environment. Mark Alyn: So as I get older, I take my money and I’m able to spend more money on less goods and services. Would you say that that would be accurate? Vince Miller: So as you state, it’s costing you more and you’re getting less. Mark Alyn: And I’m also making less because I’m not keeping up with inflation. Vince Miller: The reason why people refer to gold as a store of value. Or people will call it portfolio insurance, or the real reason to buy metal, specifically gold and silver in my opinion, is that the one thing that gold does really well is it preserves buying power against dollar devaluation. Vince Miller: In that last ten years, gold is up well over 200% far exceeding the rate of inflation. We always say that you don’t buy gold to make money, you buy gold to protect buying power over the long term. So if you had your $100,000 from ten years ago parked in gold you would have preserved against the rate of inflation. If you did nothing else, it’s still a better way to protect your money against the eroding fact of inflation and the higher cost of living. Mark Alyn: Because you’ll get more for that gold in your buying power. Vince Miller: Yes, and when you look at the metals going up. It’s not so much that gold has really gone up in price, it’s that everything else has gone down in value. Mark Alyn: Is it a good time right now, to invest in gold? And why? Phillip Patrick: We would say, certainly yes. Most people right now are concerned with the economy here in the United States and what fiscal policy has done really longer term to our currency and to inflation, in an inflationary environment, gold has shown time and time again throughout history to be a very suitable method of protecting buying power. For example, in the famous example of Weimar Germany we had hyperinflation. Gold during that period actually rose greater than the rate of inflation. So really served to help people protect buying power in that sort of environment. Even more recently, in the Ukrainian crisis, their currency has fallen 25% in just a matter of months. Gold has actually outperformed that. It, in the last week alone, in relative terms, has risen over 75%. Mark Alyn: So gold is something that people should think about when they want to preserve buying power. It’s not to make money as Vince has said on the show before. Purchasing gold, putting it into your portfolio is there to protect the money you have. Phillip Patrick:: Absolutely. The idea is that anything you put into gold today, should be able to buy the same amount of goods, services and produce in 5, 10, 15 years’ time, as it does today. Mark Alyn: Would that be all metals by the way? Silver and gold? Vince Miller: Yes, I think that’s a great question Mark. I think people have always historically referred to silver and we’ll talk about that more in future shows, because we’re getting a lot of calls on it. But people have always referred to silver as the poor man’s gold. I do disagree, I think silver historically has trickled, I think they do perform a little bit differently. But I would say a basket of gold and silver in the portfolio is a prudent measure, a prudent way to go and we can talk about that more later. Mark Alyn: Alright, maybe that will be our topic for next week. We’ll talk a little bit more about silver. Gentlemen, thank you very much for joining us. Vince Miller from the Birch Gold Group. And also Phillip Patrick from the Birch Gold Group. If you have any questions for us, we really like getting email. And you can email us at info@www.birchgold.com, that’s info@www.birchgold.com. You can call one of our gold specialists. They’ll answer any and all of your questions by calling (800) 355-2116, that’s (800) 355-2116. Or visit our website at www.birchgold.com. Mark Alyn: I’m Mark Alyn for the Market Report. We’ll see you next time.